Have problem to uninstall HP Support Assistant from PC or laptop? Don’t know how to do to safely remove it without any problem? Don’t worry, now you are in the right place to search the proper solution for truly get rid of HP Support Assistant on PC. Keep reading this tutorial for best idea to eliminate unwanted software on Windows now. 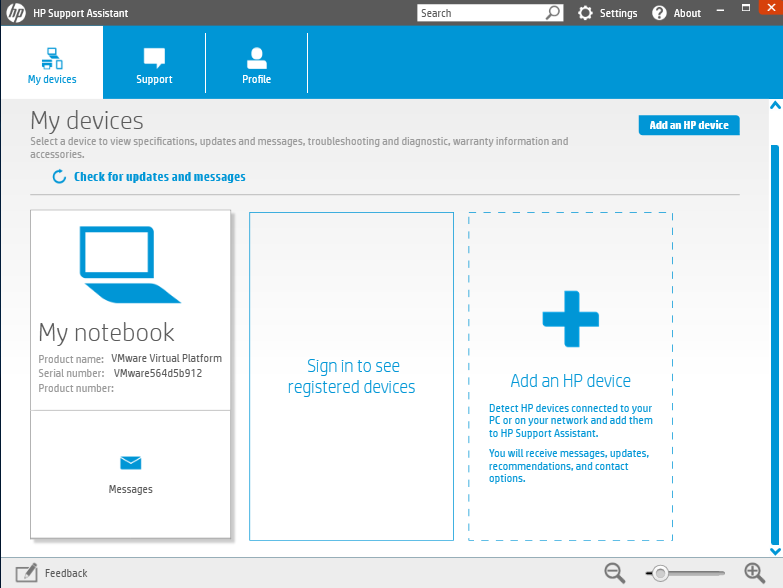 HP Support Assistant or HPSA is a utility included in all HP computers to diagnose technical issues and manage updates. While HP technical support will often refer you to use the Support Assistant, many users find the program intrusive and unnecessary — especially when a critical function is interrupted by HPSA reminders or automatic updates. Depending on how displeased you are with the HPSA, you can prevent it from installing updates, block it from running on startup and even completely uninstall it. Now choose the most proper way to uninstall HP Support Assistant by following our instruction step by step. A fast & safe method would be recommended during the first part. If you can uninstall HP Support Assistant in the traditional manual steps, then why not try this third party remover to quickly get rid of it without any leftovers on computer. No matter what kind of tool you are using, don’t forget to totally shut down the target app and its related software before removal to ensure everything goes fine. 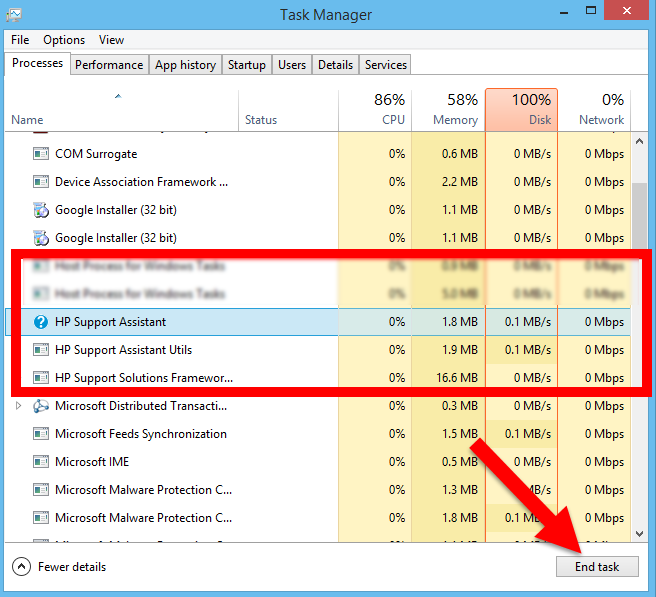 For example, launch the Windows Task Manager by pressing the shortcuts Ctrl + Shift + ESC, find any software related with HP Support Assistant, then select them, including HP Support Assistant, HP Support Assistant Utils & HP Support Assistant Framework, then hit End Task to quit them. Step 3. Wait for a while until the Scan Leftovers button lights up, then click on it. Then, click on “Delete Leftovers” button to completely uninstall HP Support Assistant. There is also the manual method to uninstall HP Support Assistant by Windows default feature, which removes it in the Control Panel. Users can follow our removal guide to uninstall it by these steps. Before removal, you need to shut down the target app and its related software, too. Repeat the seam steps to quit HP Support Assistant, HP Support Assistant Utils & HP Support Assistant Framework in last part. 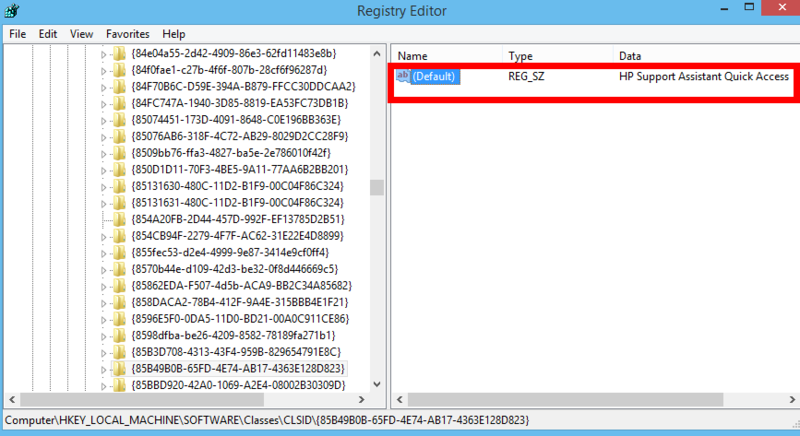 In Windows, search for and open change or remove a program. On the Programs and Features window, select HP Support Assistant, then click the Uninstall button. installed and working, repeat the uninstall steps. 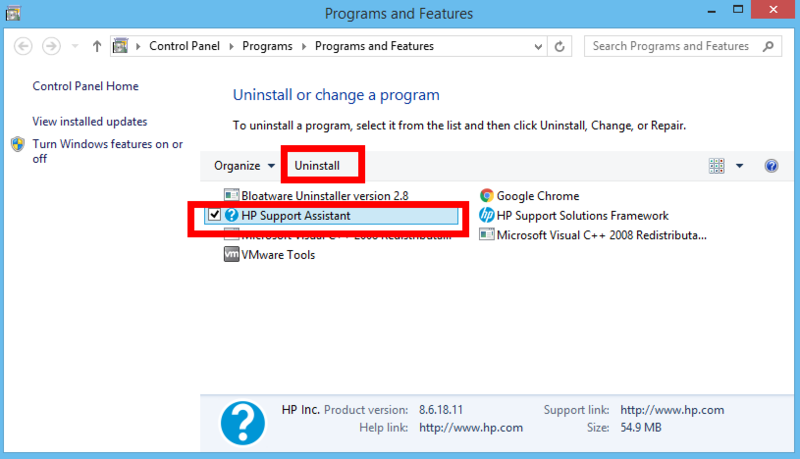 Click Yes on the Programs and Features screen to confirm you want to uninstall HP Support Assistant. 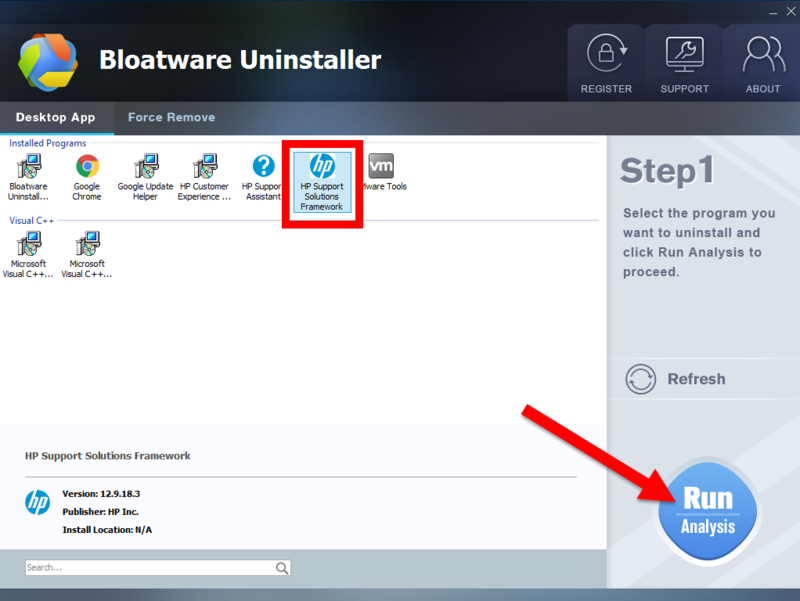 You might know which one is the best for you to completely uninstall HP Support Assistant, we are deeply recommend you to choose Bloatware remover for better Window cleaning. Double-click the HP Support Assistant on your desktop to launch the program, then click “Settings” in the bottom left corner of the window.